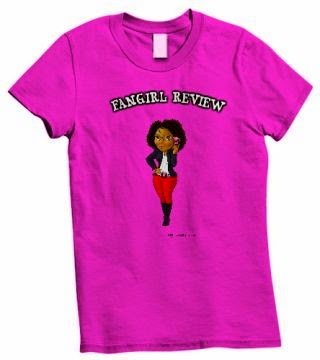 Fangirl Review: Once Upon a Time S4, Ep.1 "A Tale of Two Sisters"
Once Upon a Time S4, Ep.1 "A Tale of Two Sisters"
Show starts with a boat on the sea. The parents of Elsa and Anna are on the boat. The queen writes a letter and puts it in the bottle hoping her children will read it. We then see adult Anna and Elsa at the graves of their parents. Now we are in present day with Elsa walking into Storybrooke. Regina just walked out of the diner after seeing Robin Hood being reunited with his wife. Emma comes out to apologize. Regina tells her to stop helping her. Robin comes out to have her meet Marian. Marian starts going off and screaming that she is the evil queen. Regina just walks away. The dwarfs are driving on the road and see Elsa who freezes the truck to save herself. Elsa is in downtown Storybrooke and sees a wedding dress. Flashback to Anna and Elsa in an attic. Elsa shows Anna her mother's wedding dress. Anna is getting married to Kristof. Elsa finds a book and begins to read it. She becomes upset as snowflakes form. She found her mother's diary she believes her parents' deaths are her fault. Rumple visits Neal's grave to have a few words with him and remember the good times. 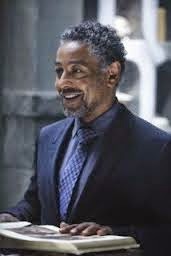 He plans to avenge Neal's death. Robin shows up to Regina's to talk. Robin apologizes for Marian's behavior. He believes Regina is good and he says his feeling for her are real. He says that Marian is alive and he has to stick to his vow to his wife. Regina gets very upset and breaks a mirror. She goes to the hospital and to a locked room and says she needs her mirror. She needs his help to destroy the person that is in her way. Rumple goes away with Belle and he remembers that they were there before. They dance and Belle and Rumple are in full Beauty and the Beast outfit and music playing in the background. Henry, Emma, Snow, and Charming are walking. They are all concerned that Regina is going to go bad. 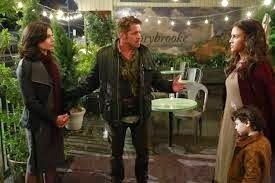 Hook joins them and asks if Emma is avoiding them. The dwarves run into town claiming that they are under attack. Flashback of Elsa with the book. Anna reads the passage and Elsa thinks she is evil and caused their deaths. Emma and Hook (run past a stone troll, hello!!!) looking for the ice trail that leads them to Elsa. She summons and ice giant. Flashback Anna and Elsa go to talk to the trolls about the diary. He cannot answer what the parents are doing on the voyage. He knows where they were going. The parents stop by to see the trolls and said they will not go to Northern Isles and they were going to Mysthaven. Anna wants to go. Hook and Emma run away from the snow giant. Elsa sees a paper with Rumple's picture on it. The snow giant leaves and goes into the forest. Regina meets with the Mirror about Marian and how the book gave Marian a happy ending. Regina does not want the Mirror to kill but rather she wants to go back in time to destroy her. Regina traps him back into the mirror and we see when she captured Marian. She captured her because she refused to give information about Snow's whereabouts. Elsa is still creeping around time. Flashback Elsa meets with Kristof and asks where Anna is. Kristof does a poor job covering where Anna went. Elsa realizes that Anna has run off and she needs to catch the boat. Present day - Hook, Charming, and Emma show up to Robin to let him know that the snow giant is coming. He knocks them all down and Regina shows up and then disappears as the snow giant is about to crush Marian and destroys it. She leaves the group shortly after welcoming Marian to Storybrooke. Emma shows up to Regina to say she will work to get her happy ending. Regina talks to the mirror and wants to change the book to have the happy ending. She wants to find the writer and wants to change the book and have villains get thier happy endings. Rumple uses the knife and this item that becomes a witches hat. 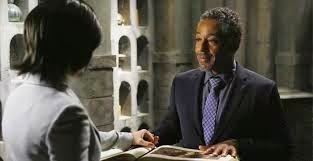 Elsa shows up to Rumple shop and wants to find the necklace that she gave Anna which she noticed in the picture in the paper. 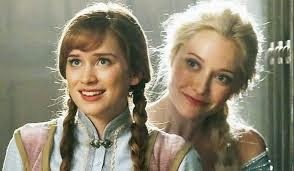 Flashback - Kristof and Elsa watch the ship go as they know Anna wants to help her sister. Mysthaven is actually the Enchanted Forest. Elsa plans to find Anna. My Thoughts: Great beginning to this new season. I look forward to seeing how this all plays out. We have to see how evil Regina becomes to get her happy ending. It should be fun to see her confront the writer behind the book. I want to see how the Elsa storyline works out in the end. This is a strong storyline to explore and I know that we will see how Rumple captured Elsa. I also want to know what was in the bottle that the mother wrote about.